The site is dedicated to those who want to know more about logotype, website and brochure design, and about the way these elements properly combine. However, it is not a merely theoretical site since it is aimed at the practical part. Our goal is to provide businessmen or the ones in charge of a company or institution with a useful tool to better plan and develop their representative design elements. Throughout this site, you will find concepts, examples and explanations which will be highly useful when creating the design and during its process. But, why is it important to know these matters when the one who does the job is the designer? It so happens that design work is not similar to, let's say, plumbing. In this case, you call for a plumber because a pipe is broken and the plumber does all the work, charges you and leaves. However, a designer cannot do his job in the same way. Design work is not standardized but customized ?every company needs a particular type of design and that is the different aspect of it. A designer needs to speak to the client who will give him indications to create the design ?he needs to know what the client wants to represent, what values to transmit, what will the design be used for, etc. Besides, as the designer advances with the design, he will be forced to follow the client's ideas. Thus, we will see how the designer and the client have a special relationship. The client is not only the one who pays, but he actively participates in the work ?giving indications, accepting or rejecting proposals, suggesting and giving new ideas. In order to do all this, it is important to have a general knowledge of the topic; it is important to be aware of the features of every type of design to have a valuable participation. Then, it is important to achieve two things. First, leave aside the belief that the client is always right; and second, have a solid knowledge of what you are talking about. The client is not always right since sometimes his ideas are not viable. Most times this happens, it is due to the fact that the client gives indications regarding his personal preferences. The design must not be the reflex of personal preferences but a representative tool, effective as regards advertising, based on the theoretical-practical knowledge of the discipline. In order to clearly and easily explain ourselves, we have decided to divide this site in theme sections. Each of them will deal with one particular topic. We recommend that you read all the sections of the site and that you do it in the established order. However, the way they have been created allow for reading them separately, if you wish to do so. The logo: In this section, we will discuss the most important element of the representative design. The corporate logo is the most important advertising instrument a company has. Here we will discuss the definition of the object, its history and its main features while we give a presentation of its different types. The website: It is a section that introduces the topic of web design as a separate discipline from graphic design, though it focuses on its work object: the website. This topic has been divided into two parts: Features and Functions. The former ones define a website and they allow you to deeply know the activity it creates it, whereas the latter ones indicate what an Internet page is for and the benefits it can bring for the company. The brochure: In this section we will revise the world of stationery design. Brochure is a group that includes business cards, project presentation folders, promotional three-fold leaflets and offers catalogs. Obviously the brochure is not one of the strongest points of the corporate identity group, though it is a great and very important complement to make this group a solid and effective one. Corporate Identity: It is a section aimed at discussing the concept of corporate identity. Within this group, all the company's designs are particularly included. The consistency that rules the corporate identity group is the key to make this the real value of the company and an efficient advertising instrument. Likewise, the relationship between the corporate logo and the corporate identity group will be presented. Client-designer relationship: This is a highly important section. Usually, this aspect is considered something secondary and almost trivial: terrible mistake. The success or failure of a design lies in the relationship with the designer. Achieving a proper, powerful and versatile design is only possible if a good relationship with the designer is reached, if communication is fluent and nice, if there is respect and precision in even amounts. That is the reason why we present a series of common mistakes which you can bear in mind to avoid committing them. 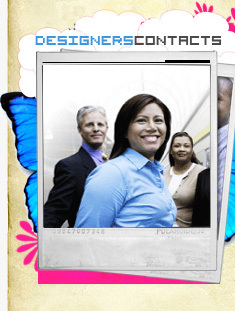 Welcome to this integral design site applied to business. We honestly want to thank you for choosing us to accompany you and give you a hand in this project you are conceiving. We invite you to surf this site thought by us for you.